Bed bugs are resilient pests, but they’re not invincible. Like many insects, they are very vulnerable under high heat. Steamer treatments have proven to be very effective at killing bed bugs, and you can do it yourself as long as you do it smartly and safely. Make sure the steamer puts out at least 180 degrees (ideally over 200) of heat on the surface being treated. This ensures that the steam is hot enough to kill the bedbugs on contact. Look for a dry vapor steamer, or one with at least 90% dry rating. If a dry rating isn’t listed, look instead for a steamer with a high PSI, as the higher pressure will produce a dryer steam. The steamer should come with a large head attachment. This reduces the central pressure, so that you don’t scatter the bugs without actually killing them. To make the job easier, look for a steamer with a large water chamber and a long power cord. This will reduce the hassle of constantly refilling and replugging the steamer. Keep your hands, hair, and clothing away from the nozzle. Nothing makes a bad infestation worse than having to treat severe burns at the same time. Don’t steam in areas where you have recently used pesticides, or you will risk evaporating the chemicals and spreading them through the air. Always hold the nozzle away from your body; remove children and pets from the area to avoid harming them. Don’t leave the steamer plugged in while not in use. Allow the steamer to cool down before storing it. 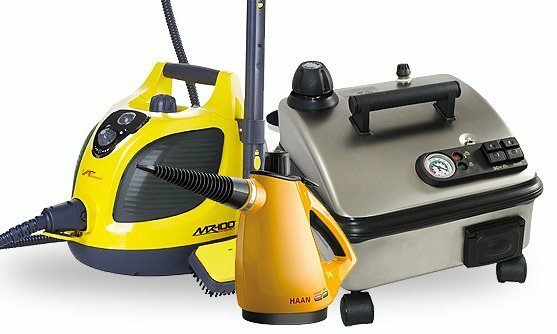 Tidy up the area and use a dry vacuum cleaner first, so that the steamer can work as thoroughly as possible. Start by steaming the high points of the room first: curtains, cupboards, and cracks and crevices in the walls. Then move onto lower points like furniture and carpets. Take your time; don’t move the nozzle any faster than about one inch per second. Bed bug steamers can kill bed bugs on contact with just tap water. 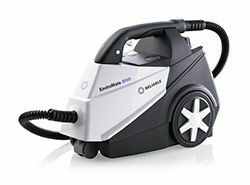 Our steamers produce 200+ degree steam, which is needed to kill bed bugs and their eggs on contact.